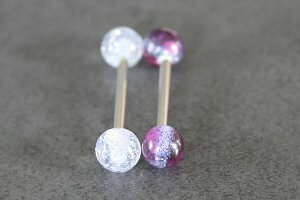 This Good Girl Logo Tongue Bar is super stylish. The top ball is filled with a good girl logo/image inside a waterproof, safe and clear acrylic bubble. 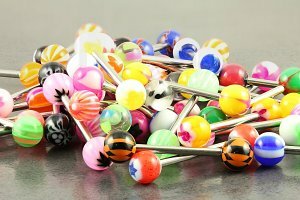 Crafted entirely in Surgical Stainless Steel for the protection of your piercing. 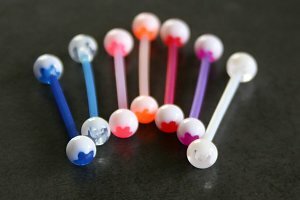 Available in the standard tongue barbell size you can guarantee it will fit your tongue piercing. 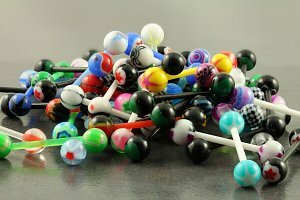 "Cute tongue bar, the only thing that bugs me is that it's a little bit bigger than ones I usually wear so I can feel it more against the roof of my mouth. It's not unbearably uncomfortable, I just can feel it more. Nothing bad. Good price :D"